If electronic music is your passion, this week-long intensive is your opportunity to learn industry standard techniques used on today’s pop, EDM and urban records. This program is designed to provide you with the language and the tools to push your limits as an electronic musician. 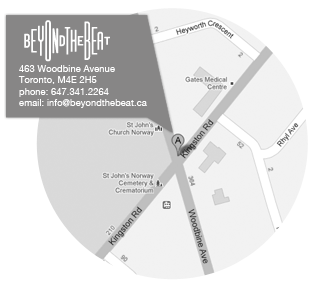 Beyond the Beat’s experienced faculty will help you develop your skills in sound synthesis and sampling, electronic music production and beat making. Program sessions will use Ableton Live, software synths Serum and Massive, software sequencers/samplers NI’s Maschine as well as online resources like splice.com. All workshops, multiple 1 on 1 sessions, access to all professional equipment and recording rig. Personal laptop and software not provided.